Their Eyes Were Watching God is the story of Janie Crawford, a woman in her forties who tells her best friend Pheoby about her life, so she can then tell the truth to the town and put an end to all the gossip about Janie. The reason why the town is gossiping is because Janie had last been seen leaving Eatonville with Teacake, a younger man, and rumour has it that he took all her money and left her behind. As often happens with rumours, this has little resemblance to the truth. But what Janie tells Pheoby is more than the truth about herself and Teacake – it’s the story of her life, of her previous two marriages, of how she came to live in Eatonville, the first American all-black community. And most importantly, it’s the story of how she found herself. Janie’s youth was dominated by others: first by her grandmother, a woman whose every choice in life was determined by the desire to live up to an ideal of respectability, and then by the men she married. But gradually, Janie begins to learn that being a woman doesn’t mean she has no right to a voice, to a will, to individuality or self-determination. Or, for that matter, to love. I was expecting to have some trouble with the use of Ebonics in this book, but to my surprise I found it easy to read. I was immediately won over by Zora Neale Hurston’s beautiful writing, by how masterfully she switches between first and third person, and by the book’s intimate tone. Jeanie’s story is one of passion, will to live, and increasing self-awareness. It’s touching, humorous at times, and ultimately very human. I loved the fact that she never let others tell her that her life was over, not even in the end. Nor what to feel, how to act, where to go. Teacake was also quite an interesting character. At a certain moment in the story – those of you who have read it will be able to guess when – he lost a good deal of my sympathy, but this is a gut reaction, not a judgement on the book. There isn’t much more I can tell you without giving away this particular plot detail, but I can say it concerns the extent to which he actually saw Janie as an equal. Edwidge Dandicatt (an author I now really want to read) addresses this point in this edition’s foreword, and I found what she had to say quite interesting. Among other things, she says that the characters’ flaws render them more human, more nuanced, which I agree with. Their Eyes Were Watching God is many things, and one of them is a very readable piece of good old storytelling. Janie and Teacake’s life at the Everglades in particular had me riveted – the community life, their work in the fields, the description of the hurricane. I read the last fifty pages or so in a single sitting. Hurston wrote about life within a particular black community – not about that community’s reactions to white oppression. She was interested in what black people felt and said and did after they’d banished the white man from their minds and turned their thoughts to more interesting things … It protests white oppression by stripping it of its potency, by denying its all-powerfulness in black people’s lives. There is a basin in the mind where words float around on thought and thought on sound and sight. Then there is a depth of thought untouched by words, and deeper still a gulf of formless feelings untouched by thought. Nanny entered this infinity of conscious pain again on her old knees. Towards morning she muttered, “Lawd, you know mah heart. Ah done de best Ah could do. De rest is left to you.” She scuffled up from her knees and fell heavily across the bed. A month later she was dead. So gradually, she pressed her teeth together and learned to hush. The spirit of the marriage left the bedroom and took to living in the parlor. It was there to shake hands whenever company came to visit, but it never went back inside the bedroom again. So she put something in there to represent the spirit like a Virgin Mary image in a church. The bed was no longer a daisy-field for her and Joe to play in. It was a place where she went and laid down when she was sleepy and tired. Thank you for teaching me the term Ebonics; I was ignorant of that word until now. "Ignored racial issues"???? Are they kidding? What of the central conflicts of the book was her half-black-half-white ethnicity. Especially after she goes off with Teacake and meets that one lady, can't remember her name (I read this 2.5 years ago) who treats her with respect bordering on worship because she's got a little bit of white genes. Oh yes, race is definitely in here. I always heard she wasn't well received in the feminist camp, especially because of the slap (I'll just assume you know which incident I'm talking about here). They say Hurston didn't make Janie strong enough as a woman. Regardless of all the criticism, I loved this book. The oral writing style was gorgeous, and I loved the characters. I'm not sure which moment you're talking about where you lost respect - I can remember several that might be it. This is one of my all-time favorite books. In fact, my college application about a book that influence my life was written about this particular book. It was inspiring to me as a teen, and I've loved it just as much on subsequent rereads. SO GLAD you enjoyed this one as well! Jupiter Sinclair: Now I know why everyone loves it so much. Sometimes I have trouble truly connecting with classics, maybe because I feel that my relationship with them is mediated by everything everyone else said about them over the years. But I didn't feel that way at all in this case. Claire: It really doesn't! I learned the term Ebonics in my sociolinguistics class. And now I'm coveting the beautiful Virago edition of this I found over at the Book Depository, with the Zadie Smith introduction. I'd love to hear what she has to say about this book! Amanda: If you click over to the Virago site you'll see another quote that they contrast with the one by Valerie Boyd, and which really dismisses the book. But yes, I disagree that it ignores those issues too, but I liked the fact that it isn't exclusively about race. It was about being a person, which is what most books really amount to. The scene I meant was the slap, yes. But it didn't make me think less of Janie, only of Teacake. And even so, I think it can be seen as a moment where he let social pressure intrude on their relationship, as the story makes it clear that he only did it because of what people were saying about them. Anyway, as far as I know, this book (and Hurston's reputation) was actually recovered by feminist critics after being almost forgotten for decades. I don't think every female character needs to be a model of strength for a book to be considered feminist. What they need is to to be portrayed as complex, full human brings, and that's definitely the case with Janie. Ana, I can't promise anything as I have no idea where it is and when I'll actually be at home to find it but I have a copy of that edition in Glasgow (now a spare copy because I have the original green Virago) but if I can find it I'll send it to you, if you are able to wait... indefinitely. Besides, you're not allowed to buy any more books! I've not read anything by Zora and I should be shamed, as she is a "local" here in Central Florida. Eatonville is, after all, just an appendage of Orlando. They have a big festival every year celebrating her. When they filmed the TV show for this book, they were meandering around here as well. I've thought seriously about reading this one after Matt's review and now I find myself thinking it once again after reading yours. I just may have to read this during Christmas break this year. I read this novel while I was in college for one of my courses and it is one of the few that I remember distinctly. It was wonderful and your review makes me want to read it all over again. I read this more than twenty years ago myself. In my 20s, I thought it was a good story. It wasn't until years later after reading others' reactions and literary criticism did I realize what this really is. Regarding Teacake and the feminist view, I'm a feminist and I agree with Amanda. I read only strong female characters. Real people are flawed. We fail. Choosing to love beyond his transgression is Janie's choice and strength. (In my 20s I was not forgiving and outraged). We're not talking about an abusive relationship. We're looking at a man who failed. It's important to put in context and look at the book as a whole. I rarely reread books but I think this is one I have to revisit. Since for whatever reason I have developed a strong aversion to any books highly recommended by Oprah and/or Maya Angelou (which isn't fair because I have loved many of the books they recommend -- I think I just get tired of the "it's good for you" rhetoric), I have avoided this one. But, if it comes across my path, I think I might pick it up! I loved "Beloved" which is another one I avoided, and then fell in love with when I have it a chance. I've heard a lot about Hurston, since she was born in Notasulga, AL, and we used to live in nearby Auburn. I've never read any of her work, and after your review, I'm wondering why. This sounds wonderful. I love the passage you quoted. Staci: You absolutely should! It's a great read. Literare Housewife: Thank you! I think this will stay with me too. Susan: I actually agree too. My first gut reaction was to be upset (possibly because I'm still in my 20's :P), but after thinking about it and reading Edwidge Dandicatt's foreword, I was able to look at it from a different angle. And as I was saying in my comment to Amanda, I think that moment was above all a moment in which Teacake let social expectations dictate his actions - which is something he and Janie absolutely did not do the rest of the time, and I love them for it. Daphne: I understand the avoidance - I hate the "it's good for you" rhetoric too. But regardless of being good for us or not, this is a very good book, so I hope you do give it a try sometime! Bermudaonion: I hope you enjoy her work when you get around to it! This is only my second time reading her - the first one I read was Tell My Horse, a sort of travel memoir in which she writes about Jamaican and Haitian folklore and traditions. I also highly recommend it! This book has been on my TBR pile for a while! Must get around to reading it! I loved this book. I also saw the movie, I believe it was an Oprah production. These are great passages - I want to reread it also! Lovely review! Your review is beautiful, Nymeth, and you bring up some great points BUT I'm trying to get a handle on whether you liked it or not. :) The closest I could find was that it was "readable." The quote you provide in response to the criticism of this book not really dealing with racism is a great one. I wrote up this book long paragraph but decided I'll simply say: well put. Kailana: I hope you enjoy it when you do! Madeleine: Thanks! Was the movie any good? I imagine this to be a bit of a difficult story to adapt, as the writing is such a big part of what makes it so good. Trish: Sorry to have been so unclear! I was hoping what I said about how beautiful I found the writing, how riveted I was, especially towards the end, and how touching, occasionally funny and human I found the story would be enough to show that yes, I did like it a lot. haha! yes, that's what I was looking for. :) I felt all of those things, and I was hoping you would, too. I have been meaning to read this book for SO LONG, it's embarrassing (the pages of my copy are yellowing,for starters). Thanks for the reminder--and the excellent review. No excuses now!! It is obviously a famous book in America but I had never heard of it before! It sounds beautiful, and although it doesn't address slavery directly, it reminds me of Beloved. Sounds like a great book to me, and something to think about! Lovely review of a powerful book! I read this one a few years ago. Your post reminds me that it may be time for a reread. I read this book in a college lit class and loved it. I read this book for a women's literature class in college and really liked it. I remember being really moved by the language. I am glad you enjoyed it, Nymeth. Your review brings back memories. I have this one sitting on my shelves just waiting for me to pick it up. I was worried about the language flow for me but it sounds like this is one that I will enjoy. Great review! Wow. After reading your review and the comments, I really want to read this book! Thanks for whetting my interest. I absolutely love Zora Neale Hurston - and if memory serves, she died in poverty and was buried in an unmarked grave. I think she's just wonderful. I have often thought of reading this, but just haven't made the time. I must. I also really like the title, it's completely unforgettable. I am coming in late to this conversation and am excited to see that this book still moves people years after Ms. Hurston wrote it. It is a very moving tale with many complex layers. One in particular that was touched on here is the response by feminists. Within the past few years feminism has taken a second look at Hurston's work. Alice Walker writes about Zora and has devoted time to exploring her work and reviving her memory. 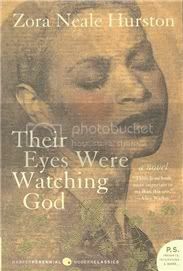 bell hooks wrote a wonderful piece called zora neale hurston: a subversive reading about Their Eyes. It is in her book remembered rapture: the writer at work. The wonderful thing about their Eyes Were Watching God is that it can be interpreted from so many different angles. Like a bunch of your commenters, I loved this book. LOVED it. Would go grab it off the shelf right now if i were home! thanks! ds: I hope you get to it soon, as I think you'd enjoy it a lot! Valentina: It does seem to be much more well-known in American than it is in Europe. 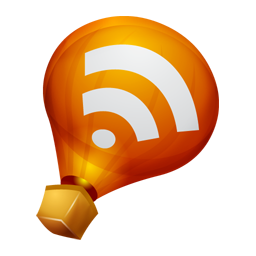 I can't remember when I first heard of it, but it might have been thanks to blogging too. Carol and Wendy: That must have been great! I'd love to have discussed this in class. I bet it'd make me appreciate it even more. Sam: It flows really well, so don't worry! Elizabeth: I hope you enjoy it! Jenny: I read about that - so unfair. She really is wonderful. Amy: I really loved the scene that explains the title, and I think you will too! Claire: In the end I didn't resent him either, but for a moment there I was deeply disappointed :P But like I said, it never made me think less of Janie herself. leaningtowardthesun: I knew about Alice Walker, but not about bell hooks - I'll definitely look for that piece. Thank you! Violet, I look forward to hearing what you think! Marie: Now I know why it's so widely loved! I keep meaning to read this book, but haven't yet. I am glad to see you enjoyed it. Great review! I feel I cheated myself: I listened to the audiobook a few years ago. But that means I didn't experience reading the dialect speech. I should revisit it in print. I loved the historical aspect of this book, as well as the women's perspective. It definitely deserved to be on the classics list! I was a little nervous about the language, too, so I ended up listening to the audiobook read by Ruby Dee. She did an excellent job and I loved the book! I liked this book when I read it, but I got the feeling I'd like it more after a second, not-for-class reading. Also, I think you'll love Edwidge Danticat. I read Breath, Eyes, Memory in college and got to meet her in grad school--she's very nice, intelligent, confident, and quiet--so I've got a signed copy of The Dew Breakers I've been looking forward to forever (I really have to stop requesting ARCs). I have been meaning to read this book after hearing so many positive things about it. I liked your review because it really fleshed out some of the difficulties and beauties of the story. I am putting this on my wish list. Thanks for your insight. I've been meaning to read this one. I watched the film a while ago. The quotation about Joe and the spirit of the marriage moving from the bedroom to the parlor captures something I love about this novel--it's funny, in a wry way. Wonderful review! This one had been on myu TBR for a very long time! Their Eyes Were Watching God is one of my favorite books in American literature. Janie Crawford is so courageous to pursue her way of life regardless of the gossips and disapproval from her own people. Unlike many of the classics, this is a woman's struggle against her own community and people. The ebonics seems a bit challenging but I found reading it out loud really helps! This sounds like a book I would love. I had never heard of Ebonics before. Thanks to the link to Virago reading guides, I have just read Enchanted April by Elizabeth Von Armin and wanted to read more about her and there she was on Virago. Rebecca: Thanks! I hope you enjoy it too. Alice: It really seems to be much more well-known in the US than in the rest of the world. Rebecca: You know, I think it'd actually work even better read aloud! JoAnn: I would love to try an audio version of this sometime. As I was telling Rebecca, I bet it works really well. Naida: How was the film? I have trouble imagining this story working as anything other than a book, since the writing is such a big part of what makes it so good. Jeanne: Yes, I absolutely agree! Matt: I read a few sentences aloud too early in the book, and it definitely helped. And yes - I just loved Janie's courage. Vivienne: I'm so looking forward to reading that! And I love the Virago site - so full of useful info and resources.